We’re being swamped by comicbook extended universes, Universal have attempted to resurrect their classic monsters playground, and now we get the first film officially summoned from James Wan’s The Conjuring series. 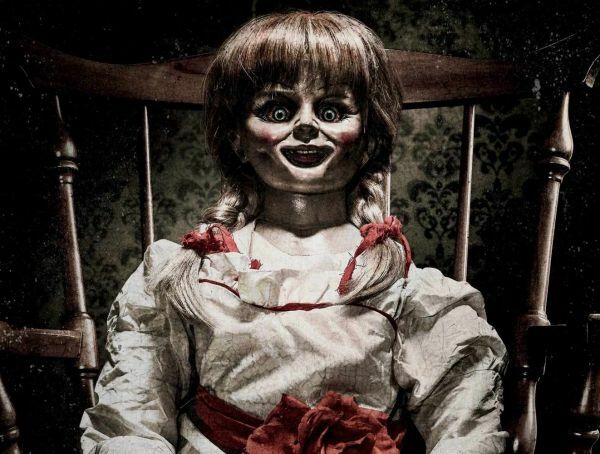 But wait, you scream, didn’t we already get an Annabelle movie? Well, yes, one that for about fifteen minutes of prologue was a deeply unsettling film, before it descended into monster-of-the-week nonsense about a Beelzebub beastie. Here though Warner Bros are pressing the reset button found on the back of the dolls head and actively marketing this as a ‘universe’ instalment, taking us back to her creation. So far back in fact that we peer through the hanging doll parts of a macabre looking Geppetto’s workshop, in which Anthony LaPaglia’s toymaker is polishing the eyeballs of his latest match of Mullins dolls; number 1 of 100 of the porcelain faced menaces. He lives an idyllic family life in which his daughter Annabelle will exchange ‘I love you mommy’,’I love you more’ with Miranda Otto’s doting mother. However, a series of events lifted from Pet Cemetery leads to tragedy, and we’re hurled forward twelve years. Their home is now an orphanage, run in a disturbing, grunting, doorway occupying manner by a shuffling LaPaglia, which begs the question as to why social services would ever let a man who locks doors to secret rooms, and hides his wife away Miss Havisham style, look after a house full of girls? As it turns out, that’s the least of their worries. 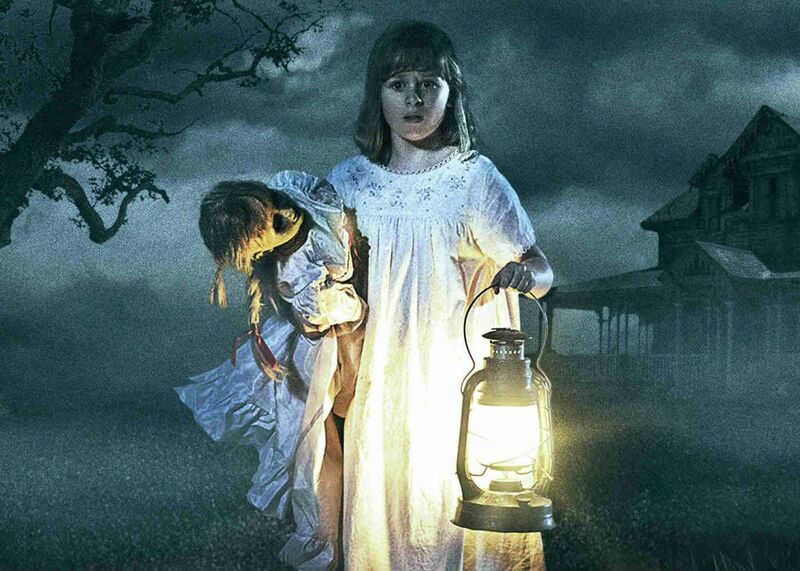 Annabelle: Creation is an upgrade on the original in almost every department; straight out of the box you can see that it’s a more impressive beast. Shot with the kind of framing that James Wan utilised so brilliantly in The Conjuring, Lights Out director David F. Sandberg, maintains that fluid camera movement and use of imagery. Creation is noticeable for the way in which it focuses on shadow, or accentuates the dark to trick you into seeing something which may-or-may-not be there. There’s a wonderful sequence in which our young protagonist, Janice (the excellent Talitha Bateman) is spooked into the arrival of multiple presences whilst hiding on the landing, simply by seeing silhouettes on the wall. Like the majority of the film, it’s really well crafted. It’s a shame, because the script has a knack for tapping into the kind of things we were afraid of as a kid; peering down the side of the bed, strange grown-ups, and the endless chasm of darkness we associate with an open night-time doorway, which is the focus of a wonderful piece of ball-on-string fishing into the gloom. 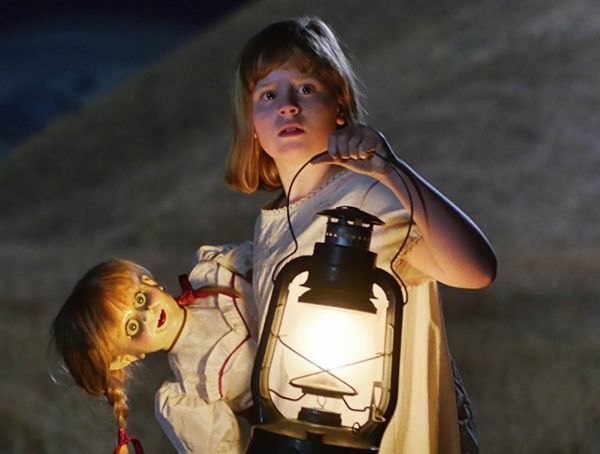 Along with a screenplay which sometimes creaks louder than the floorboards, case-in-point having a character tell the kids to “go and get ready for bed” when there has just been the most graphic murder in the film, Annabelle: Creation gets too caught up playing in its box of tricks, when it should have been establishing universe building mythos on which to build the terror. Instead, it leaves that for two end credits stings, Nun of which are that good. Matthew Rodgers is a senior writer and film critic at GeekFeed. He has written for HeyUGuys, The Epoch Times, and has contributed to numerous publications over the past decade.